Colorful 3D greeting card with a pirate ship and a birthday greeting. A perfect birthday card for a boy who loves pirates stories. 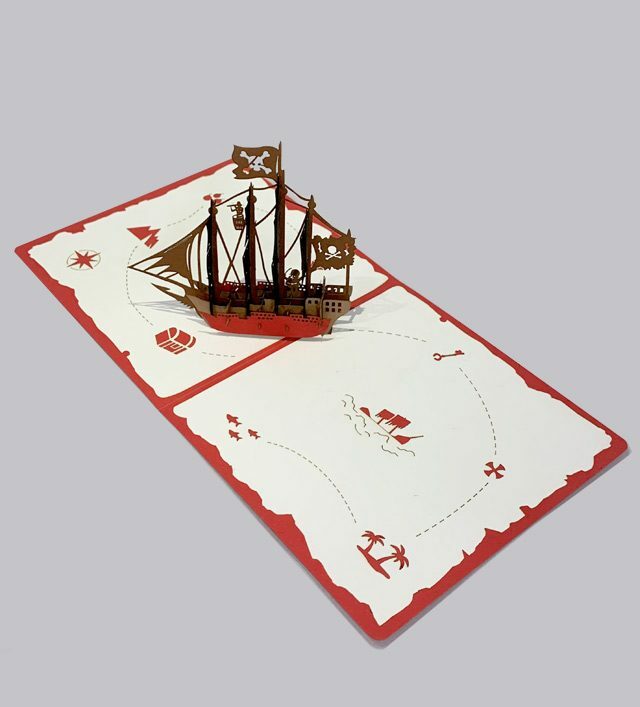 This 3D pirate ship greeting card is a great addition to a birthday gift for a boy who loves pirate stories. 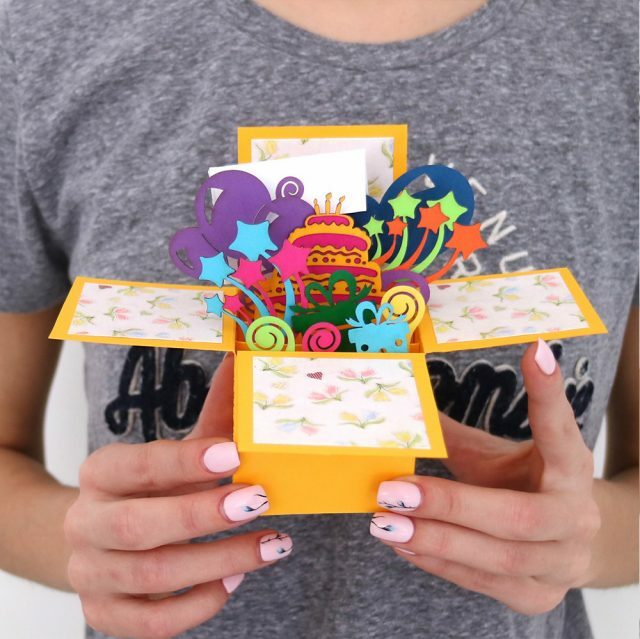 With a bright-red outside cover and an impressive 3D ship inside, which pops up when you open it, this greeting card will bring happy emotions on the spot, and great memories in the years to come. You have a special occasion and cannot find a special gift? You are welcome to Say.ae – a home of an abundance of luxury greeting cards in the UAE! Dozens of colors, shapes, sizes – there is no doubt that you will find here a perfect postal that will meet your desires. There are so many marvelous holidays and events that it is a great idea to adorn celebration, presenting unique paper greeting cards. Each of our postals has a unique design and fabulous style. 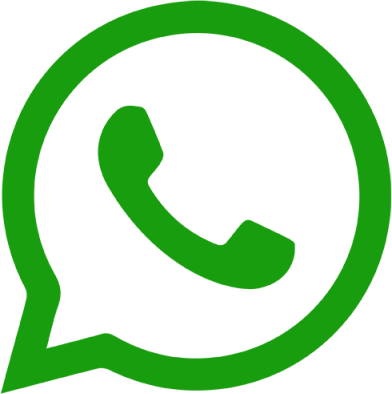 Besides, it should be underlined, that we produce only qualitative cards, made with the highest quality environment-friendly materials and best paper, imported from Europe and Japan. 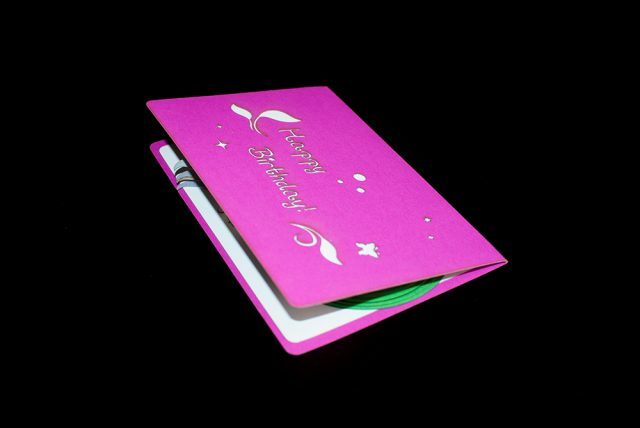 We provide our clients a big deal of different occasion cards that suite to every fancy. 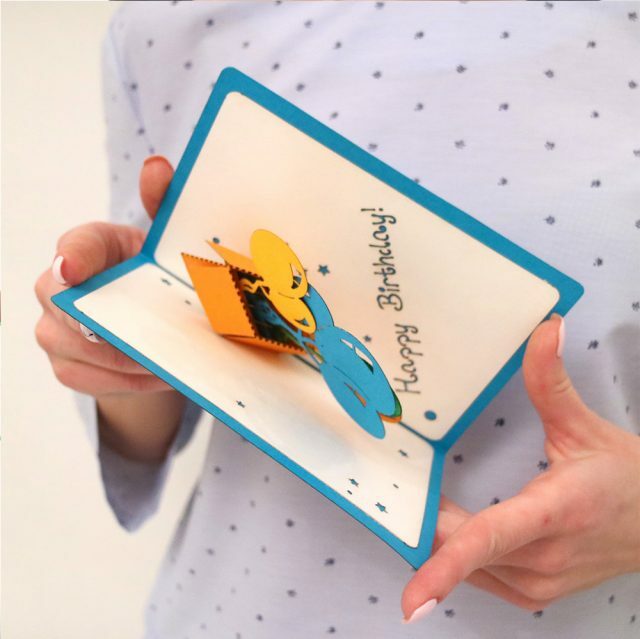 But if you have the desire to create and order one, designed to your own pattern – we completely support your idea and are ready to make a card according to your request! Isn’t it nice to present your friends really unique and authors postal, where you put a little bit of your heart? 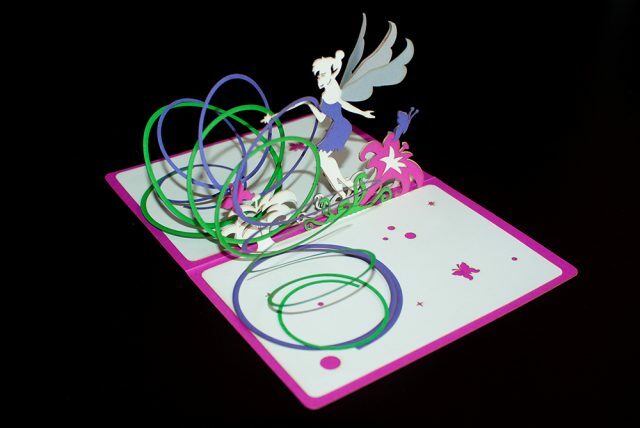 Play with colors, embellishments, materials and 3D figures! Choose an appropriate print and shape, send us your sketch and we will do our best to bring your project to life.